Do they run Training Buses at 7am? I saw 2 training buses on the #30, along with a regular #30 all within 2 minutes. Have they started running articulates on Sunday's now? I have seen them on the 160 on Saturday's. They should run them on 162/170 as these buses get packed. 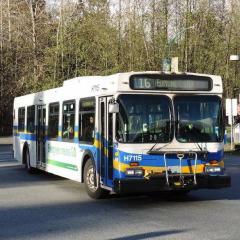 However, I don't think the route can handled articulated buses in some of residential areas of Fort Richmond. Yep, Started with the Waverly Leg (via Bison and Waverly before Bishop was extended west of Pembina). Only ran Monday to Friday Added the Kenaston leg, but only during peak periods, and kept extending the route. (Victoria Hospital, Henlow, Whyte Ridge, Tuxedo Business Park, Lowson - Both ways and Ikea) Then in 2010, added Saturday Service, and operate both legs all day. Then this month, replaced the 78 Kenaston to 74, and extended service later in the evening Monday-Friday. As of 8 pm, most of the updated schedules are already gone. I got some today at Portage and Main. Looks like they did some route training today on the 74, I notice at least 4 buses along Kenaston and Rothwell area within a couple of minutes One bus was going North down Kenaston (avoiding Lowsen, and Tuxedo Business Park) , another bus going west down Rothwell into the Tuxedo Business Park, another bus going south down Kenaston (did not see if turned into Tuxedo Business Park ), plus the bus I was in going to Polo Park. 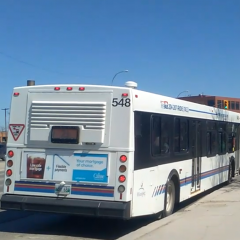 Forgot to add the link http://winnipegtransit.com/en/rider-guide/news/#fallservicechange I notice that almost all the UofM routes will have changes Saturday and Sunday as well. I don't think they are the 'Extra' buses that all removed during the Spring and Summer.